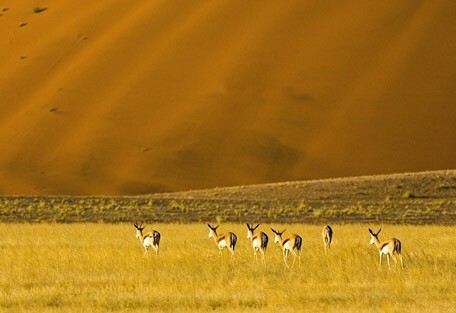 Diverse Namibia is a 9 night active, exciting adventure, exploring the iconic areas of this vast country – its dunes, desert, plains and superb wildlife – enhanced by exclusive accommodation in private reserves and concessions. 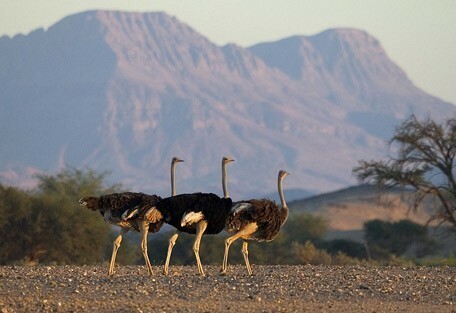 On this adventure you will take in the soaring red dunes of Sossusvlei, the life-filled blue Atlantic Ocean, the desert and denizens of Damaraland, and the dense plains game and predators of Etosha National Park. Throughout the Exploration are interspersed activities such as scenic walks and visiting the spectacular ancient rock engravings at Twyfelfontein – altogether, a true Namibian adventure with a range of activities impossible to beat! From US$2750 in low season to US$3450 in high season per person sharing. 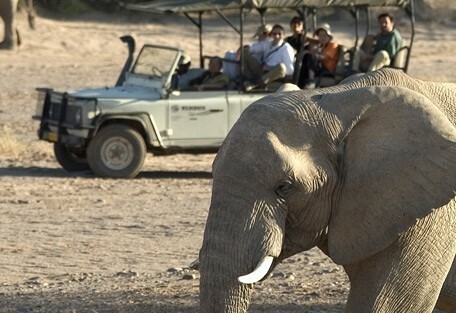 As with all the tours on our website, this is just an example of the safaris we are able to arrange. We take pride in creating holidays and safaris from scratch, placing particular emphasis on matching the destinations and properties to your budget. Contact us now to start the process of arranging your dream holiday and safari. Set on 37 000 hectares of land near the spectacular sights of Sossusvlei, the private Kulala Wilderness Reserve is home to Kulala Adventurer Camp. The camp, comprising of 5 “maxi” dome tents under the shade, is perfect for taking in the Reserve’s expansive vistas and stark beauty and enjoys views into the Namib Naukluft National Park. Dining under the star-filled Namibian skies and watching a rose-red sunset punctuated by the cacophony of barking geckos are a few highlights, as is spending unrushed quality time at the towering dunes of Sossusvlei, known for their red colouring in the early morning sunlight, accessed through our private gate which is closer to the dunes than the main park entry gate. 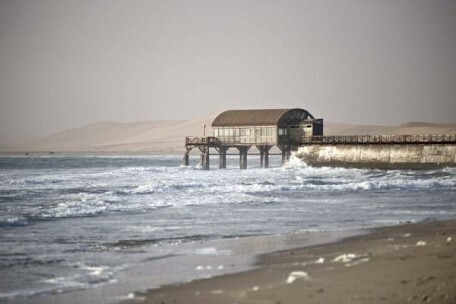 Depart camp early and drive through the snaking roads of the Kuiseb Canyon and out onto the expansive gravel plains, eventually arriving in Walvis Bay before moving north into the quaint town of Swakopmund. Namibia’s oldest hotel, and consistently one of the best, the Hansa has retained its 100-year-old charm while providing present-day service and comfort. 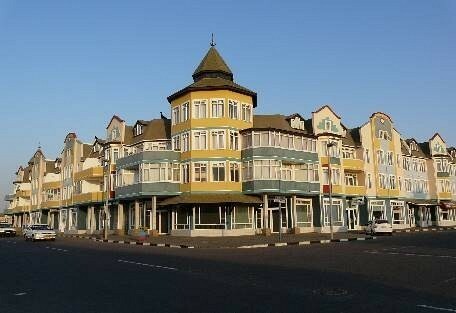 Discover the town of Swakopmund and bed down in an iconic hotel that forms part of city’s architectural culture. 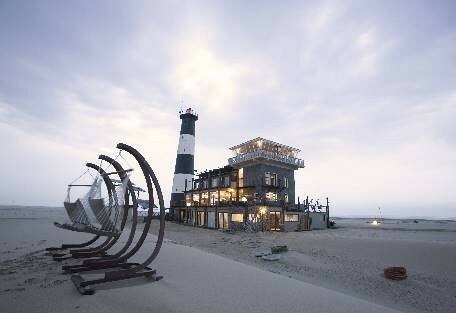 Explore the ice-blue Atlantic coast with a “Dolphin and Seal” catamaran cruise from Walvis Bay (weather permitting). We continue our journey by road, approximately 8-hour drive to Damaraland, west of the Brandberg Mountain, stopping for lunch at Ugab Save the Rhino Trust Camp. This area boasts the largest concentration of black rhino anywhere on the planet outside a national park. The area boasts a varied assortment of desert-adapted wildlife and incredible geological formations. Damaraland Adventurer Camp is located in a special place in the heart of the rocky desert of Damaraland, an ancient, starkly beautiful landscape. Looking south from camp toward the imposing Brandberg Mountains, Damaraland offers you endless vistas and one of the best wilderness areas in Namibia. Early morning mists, generated by the clash between the icy Atlantic Ocean and the warm desert air of the Skeleton Coast, drift inland along the river valley, providing sustenance to the flora and fauna of the region, hence the high density of wildlife in the area. Accommodation is in 5 “maxi” dome tents pitched on timber platforms that allow for a small viewing deck where you can sit for hours and contemplate the surrounding beauty. Tucked away in and amongst the sandstone hills, each tent is surprisingly spacious with wooden beds with mattresses and cotton linen. En-suite bathrooms with toilet and shower are located at the back of each tent. We drive approximately 330km (205 miles and a 5-hour drive) to Ongava Game Reserve on the boundary of Etosha National Park. 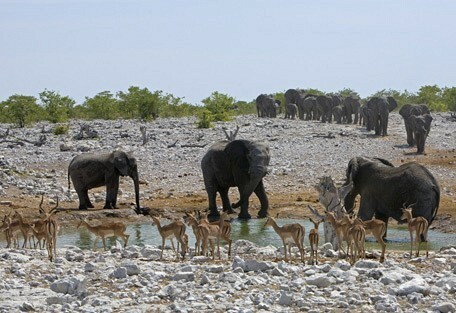 Etosha remains the highest density wildlife area within Namibia, its fame justly acknowledged. 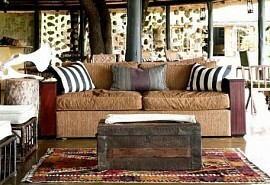 We explore here, as well as the Ongava Game Reserve. 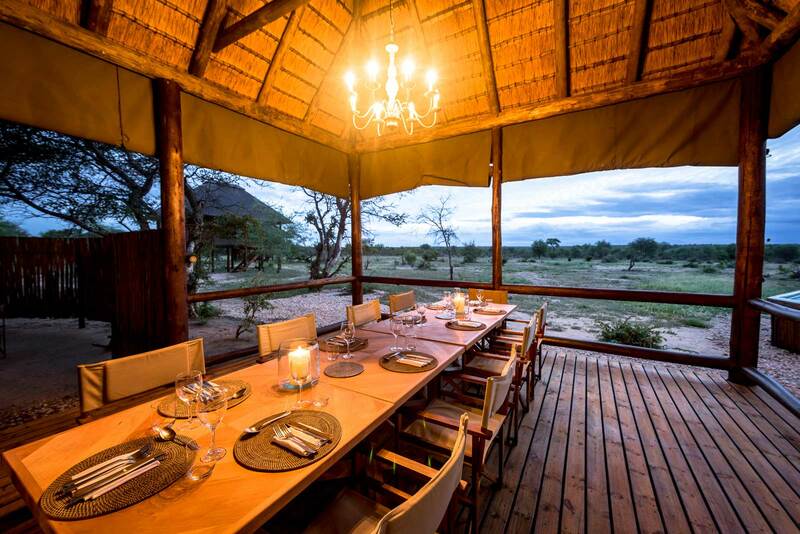 Located on the boundary of the world renowned Etosha National Park, Andersson’s Camp is the perfect point from which to explore the diversity of fauna and flora in this region. 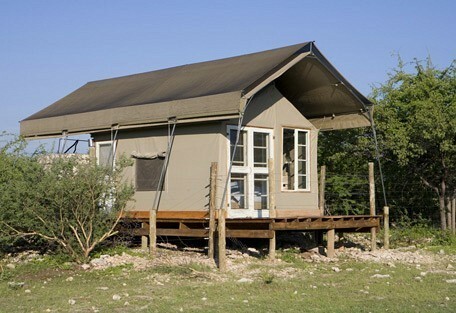 What’s more, this charming eco-sensitive camp is set within the privacy of its own reserve teeming with wildlife. 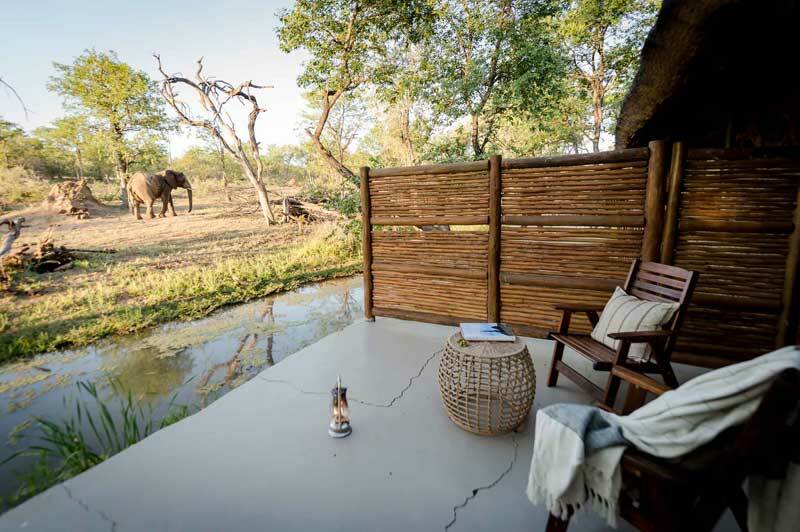 Formerly an old farmstead, the camp is beautifully nestled in mopane scrub with the scenic backdrop of the low Ondundozonanandana mountain range. 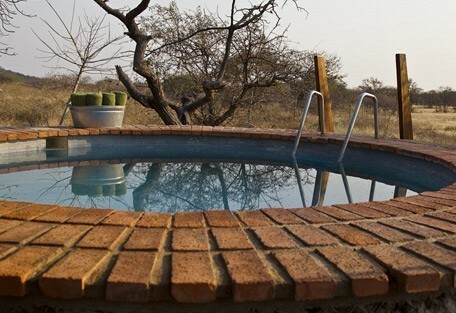 On arrival you will find your en-suite accommodation fronting onto a productive waterhole. Each of the 18 tents is raised on decks for enhanced views of the passing game. 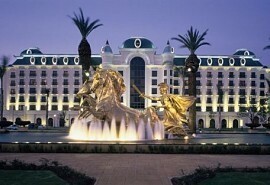 Driving 420 kilometres (260 miles) south, we return to Windhoek at 13h00 and bid farewell to our adventure. Ready to Go on Safari? Tell us where you would like to visit. We will work on some tailored solutions. It's time for your safari! Bon Voyage! 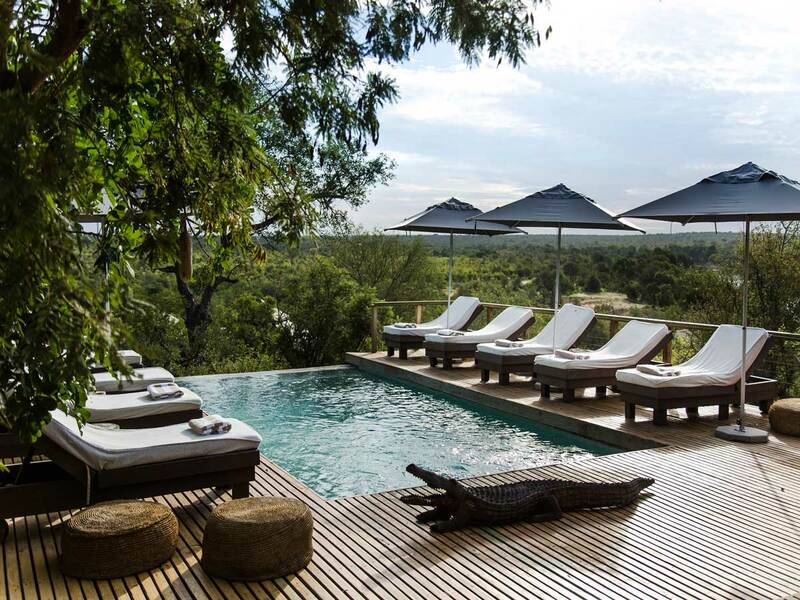 The Complete Kruger Safari allows guests to spend 3 nights at 2 different luxury safari lodges in the private reserves of the Kruger National Park, exposing guests to varying types of scenery and wildlife. 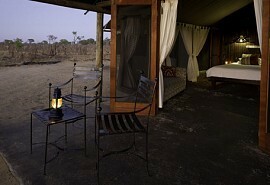 This is the ideal honeymoon package, offering the best of both beach and bush. Spot the Big 5 on safari in the Kruger and spend the rest of your honeymoon on a tropical beach with palm trees and pristine beaches. Spend 11 nights enveloped in the marvelous surroundings of Zimbabwe’s iconic places, from the banks of the Zambezi River near Victoria Falls, to the enigmatic Mana Pools, historic Lake Kariba, and finally, Hwange National Park. Spend 6 nights in an adventure filled holiday to Victoria Falls and Zimbabwe's Hwanga National Park. Expect open 4x4 game drives discovering the Big 5, sunset cruises with hippos & crocs and a choice of adrenalin activities at Vic Falls. Our expertise in African travel comes from years of experience travelling the continent, canoeing the rivers, walking the bush trails, and seeing the stars. We've been on the game drives and watched the sunsets, spent nights wrapped up in remote areas, and eaten great food around the fire. Our recommendations come first-hand, and they are your assurance that a safari booked with us is one we know you'll love, because we did. We know a safari can be pricey, but we guarantee that we're giving you the best deal on your travel. We don't want your trip to Africa to be a once in a lifetime experience, we want you to do it again, and again! Through nurtured relationships with our suppliers, we can offer you the best deal they've got, and you'll never pay more than you should for your accommodation. If you find the same holiday for less, we'll confidently better the price. Just like the spots on a leopard's back, each of our tailor-made itineraries is unique. Every journey has a personality, carefully designed to match the desires and expectations our clients bring to the table. Every element is taken into consideration to stitch together a personalised safari experience, grown from seed and cultivated to embody the perfect adventure. 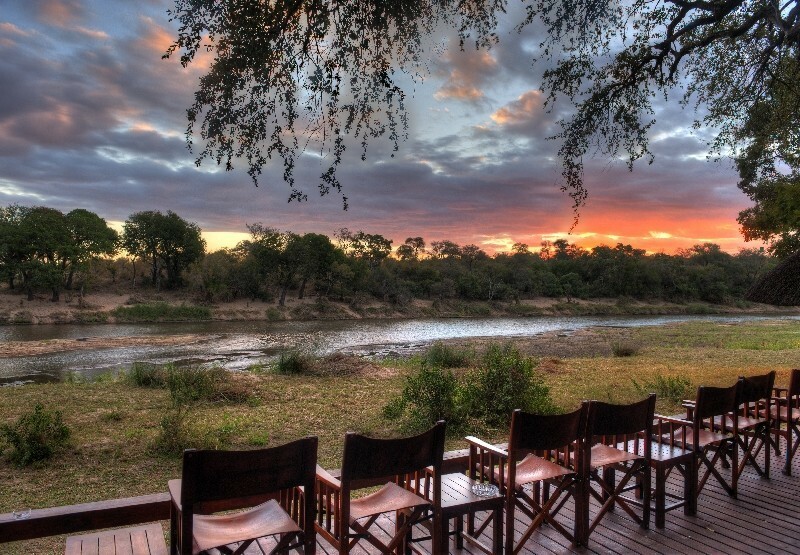 Our tailored itineraries are your safari dreams, defined. 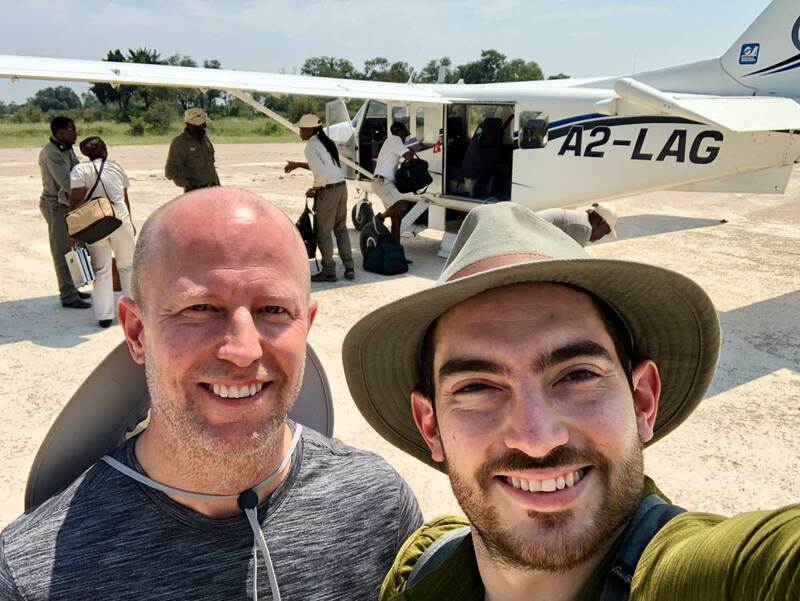 "Client Feedback : Botswana Safari"
" We wanted to let you know how much we enjoyed our trip to the various parts of Botswana! We had an amazing time and loved all of the places you had picked for us, as well as all of the camps! We had a particularly amazing time in Machaba, but it was very hard to compare and we truly loved all of the sites, camps, camp managers and staff! " " The trip was a trip of a lifetime, everything went very smoothly and exceeded expectations! I certainly will go back to Africa! Both camps exceeded expectations; if anything, we had a slight preference for Lagoon as the lodgings were bigger and the food was better. We really appreciate your help and have no hesitation in recommending you and asking you to organize another trip for us. " " Everything went so smoothly and each of the places you had booked for us was delightful in very different ways. We got excellent service in each of them and were very impressed at the expertise of the rangers and trackers and saw wonderful birds and animals. Somehow nThambo was my favourite... "